A very hardy herb that comes back year after year. 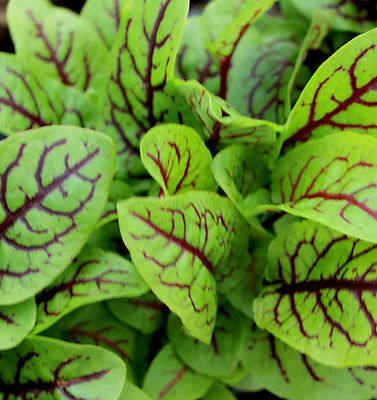 It has a tangy lemon flavour and is ideal for baby leaf production and in salads. Thin to Appx 3 " for baby leaf production. For larger leaf crop thin to appx 10-11"
We are Registered and licensed by Fera who are the licensing body for Defra for organisations wishing to market/supply seeds. We take great care to follow the guidelines for seed supply as laid out in the The Seed (Registration, Licensing and Enforcement) (England) Regulations 2002 (as Amended) where applicable. Our licence no. is 7395 details of the regulations we are bound by are available upon request or at the defra/fera website. We also offer Free Postage to Europe and the rest of the world when you order 6 or more packets of seed. Please check locally regarding the import of seeds to your country. All our seeds are carefully packaged in re-sealable clear packages and are fully labeled with Sow by Date and Date of packaging . Seeds are then posted in Airlite padded envelopes to protect the seeds from possible damage in transit. We offer free postage on additional seed orders made at the same time so please feel free to browse our present selection of High Quality seeds.